LEED certification provides assessment of new buildings to help the environment, improve energy efficiency and improve indoor environmental quality. The LEED rating system allows building projects to score points for certification across six categories. One of the major categories is indoor environmental quality, credit 3.2. Buildings impact people’s health in many ways including daily chemical exposures and microbial exposures. The Green Building Council has ways to improve indoor environmental quality including alternative construction methods, innovative building materials and new ways to monitor indoor air quality. 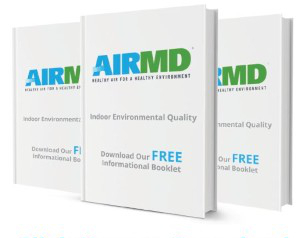 AirMD’s testing procedures sample for Formaldehyde, Particulates (PM10), Total Volatile Organic Compounds (TVOC’s), Carbon Monoxide and 4-Phenylcyclohexene (4-PCH). The testing will identify whether the building is compliant with the LEED requirements and if it is confirmed that the building is compliant, credits toward LEED certification are obtained. To book Leed Testing for your Danbury home or business, Click Here. You can also call us at 1-888-462-4763 or 1-888-GO-AIRMD.